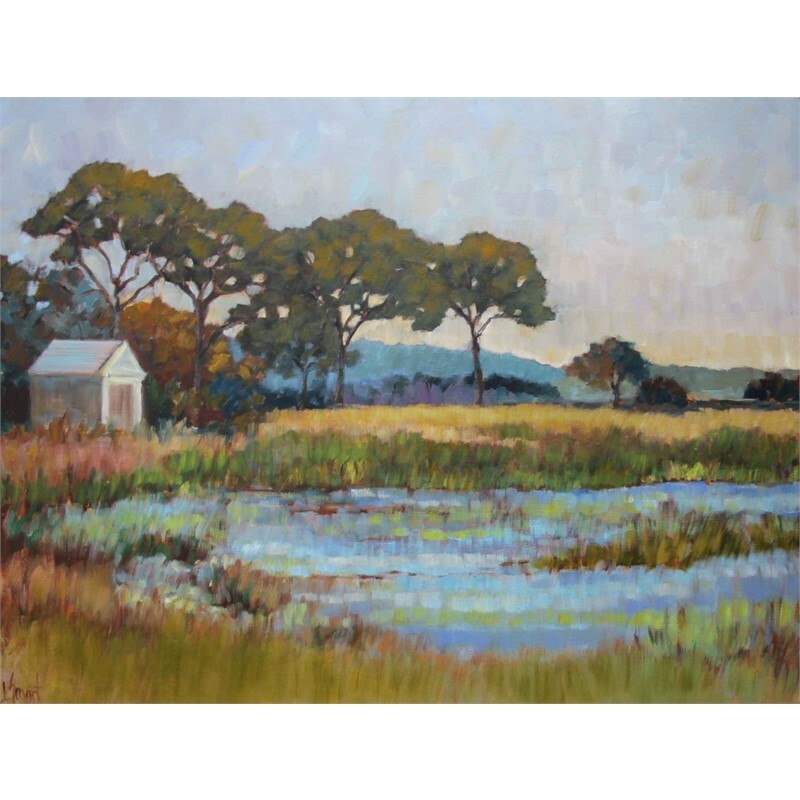 Libby Smart is based in Charlotte N.C and began her artistic career with a successful decorative painting business “Paint Smart.” After twelve years of “painting the ideas of others” she made the switch to fine art and has been painting and evolving ever since. Her love for color and brushwork are evident throughout her work, and her unique style is instantly recognizable. Clients also gravitate to her palette and unusual way of juxtaposing color. She has studied both locally and abroad, and her ideas for subject matter come from travels, especially to the N.C. and S.C. coasts, and her study of the outdoors. Although Libby spends a great deal of time painting in her studio she also finds joy in sharing her knowledge with others by teaching workshops. She has been featured in Charlotte Home Design and Today’s Charlotte Women magazine, and was chosen as the featured artist for the 2017 Beaufort (N.C) Wine and Food Weekend. She is represented by several galleries through the southeast. Libby Smart is based in Charlotte N.C and began her artistic career with a successful decorative painting business “Paint Smart.” After twelve years of “painting the ideas of others” she made the switch to fine art and has been painting and evolving ever since. Her love for color and brushwork are evident throughout her work, and her unique style is instantly recognizable. Clients also gravitate to her palette and unusual way of juxtaposing color. She has studied both locally and abroad, and her ideas for subject matter come from travels, especially to the N.C. and S.C. coasts, and her study of the outdoors. Although Libby spends a great deal of time painting in her studio she also finds joy in sharing her knowledge with others by teaching workshops. She has been featured in Charlotte Home Design and Today’s Charlotte Women magazine, and was chosen as the featured artist for the 2017 Beaufort (N.C) Wine and Food Weekend. She is represented by several galleries through the southeast.